George Styler’s colorful knitwear collections are inspired by fairytales and beauty of nature. It emphasizes floral and animal patterns as well as elements from art and architecture. He also spend a lot of time experimenting with different kind of yarns, textures and colors and,including handmade embroidery details. 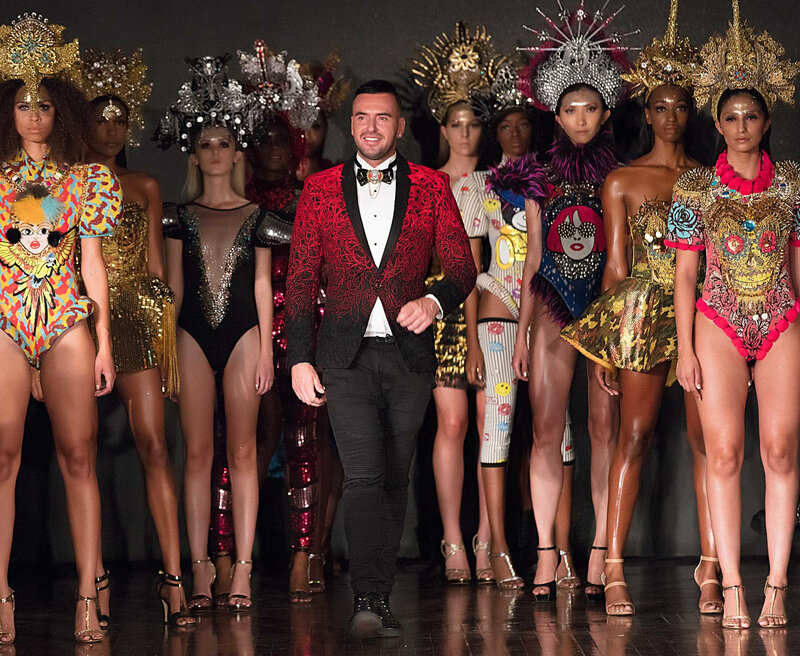 His collections express multiculturalism since he combine ethno motives from Africa, Asia, Balkan and South America with a touch of British punk and Hollywood glamour. All of these elements contribute in creating unique designs that fuse modern and traditional. June 2012 – Runway Show – FASHIONCLASH Maastricht, Netherlands. June 2015 – World Expo 2015- Milano, Origin – Passion and Beliefs- Vicenza, Italy. October 2016 – Runway Show -Seattle Fashion Week, United States. April 2017 – Runway Show – Scottsdale Fashion Week, United States. October 2017 – Runway Show- LA Fashion Week -, Los Angeles, United States. February 2018 – New York Fashion Week.